I've been reviewing some of the options for commuting your kid around (bike seat, trailers, mid tails, long tails, etc) and am having a hard time determining the best option. My daughter is 45lbs and is at or approaching the limit of most bike seats. Is the easy option of a bike seat the way to go? 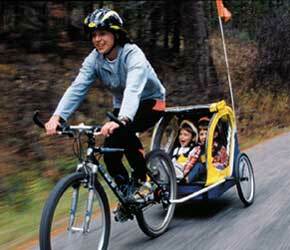 Or will commuting a kid at the max weight of a seat be too cumbersome (and short term)? Are the other options a better choice here? Even if you decide to buy the seat now, presumably there'd be an issue as she grows? And by the sounds of things, it won't be long before she passes the upper limit. or last, get her her own bike. From experience, this one has pros and cons. The obvious pro is to get them cycling as soon as possible, the con is that until they become pretty proficient, they ride mightily slowly! While I was googling, I also came across this article which might help (and this is where the pics came from). There do exist child seats that support higher weights, for example this one: http://www.yepp.nl/uk/Collection/Yepp-Junior. I rembember this style of seats to be very common in The Netherlands for kids up to ages of 8 or so (although they often also cycle on their own). This does require a bike with a rear rack that actually supports that weight too, and I don't know about availability outside NL. 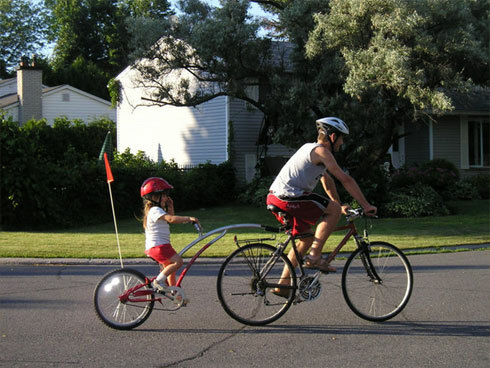 Follow Me Tandem is a pretty cool solution - it lets you attach the child's bike to an adult's bike to form an improvised tandem. The website is available in German and English. Check out the English flyer. 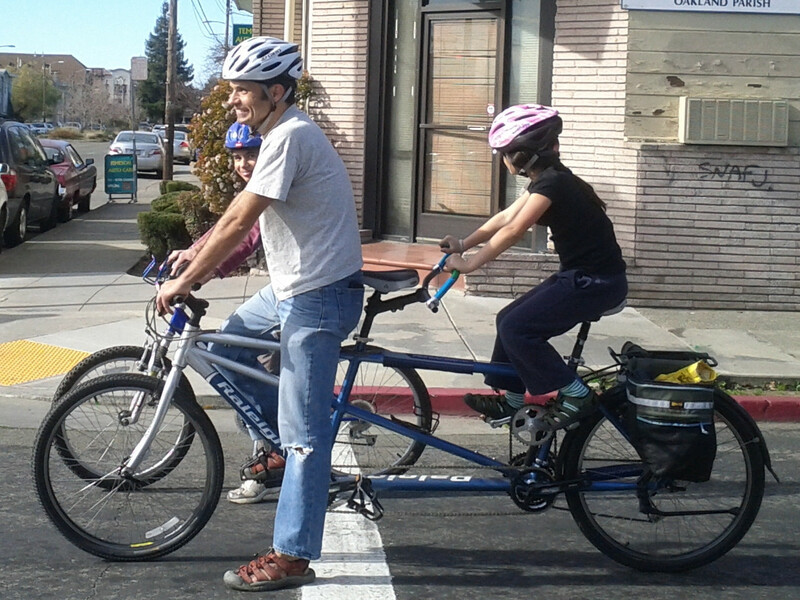 Regular tandem with child stoker kit. This store has several photos of small kids on with a seat back very young children Fairly soon children can sit without a seat back on the saddle. Of course it all depends on the child and length of your rides. 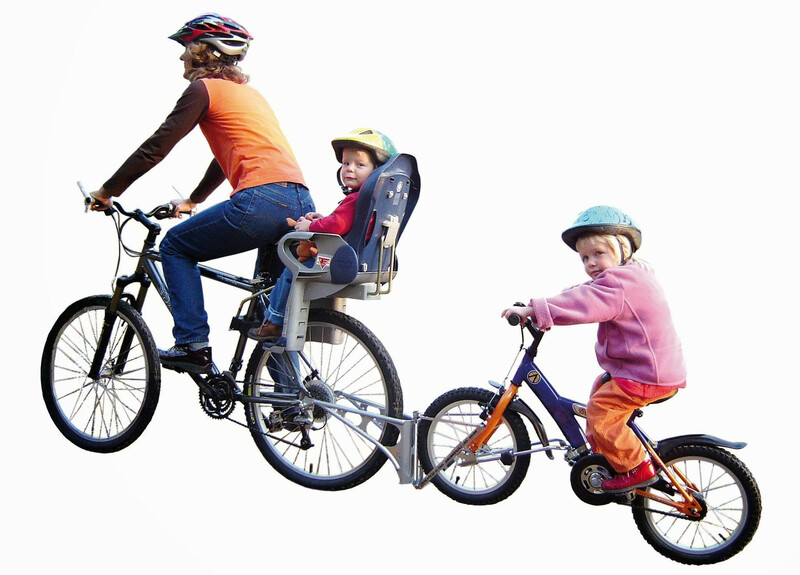 Going with a tandem will give you probably the longest usability as your child grows up and allows you to go longer distances easily. But good tandems do cost a bit. There is no single solution that fits all. It really depends on your riding habits (length of ride, type of ride, how often you ride, etc), how much money you are willing to spend, and personal preference. Not the answer you're looking for? Browse other questions tagged children child-seat or ask your own question.